These garden shears from a company called Darlac, and these came in at number three on our top 10 rated list of garden shears. Overall buyers rated these highly in terms of satisfaction, and value for money at an impressive 92%. It is pretty hard to argue with that type of rating. These are extra long handled garden shears, that are perfectly weighted. They feel very balanced in your hands, and that helps make them very easy to use. Darlac are a UK company and are based in Langley in Berkshire. Their tools actually feature quite a lot in many gardening magazines in the UK such as Garden News and Amateur Gardening. What Buyers Said About the Darlac Shears? Just below I have included the important features, and why they bring with them benefits for all types of gardeners in the UK. These have extra long handles that makes higher up cutting a great deal easier. The blades are razor sharp, and are also coated with carbon to prevent rusting - the blades are also very easy to sharpen. They have buffers close to the handle, that prevents the metal ends of the blades banging together - that makes it a lot easier on your hands as well - in other words they act like mini shock absorbers. 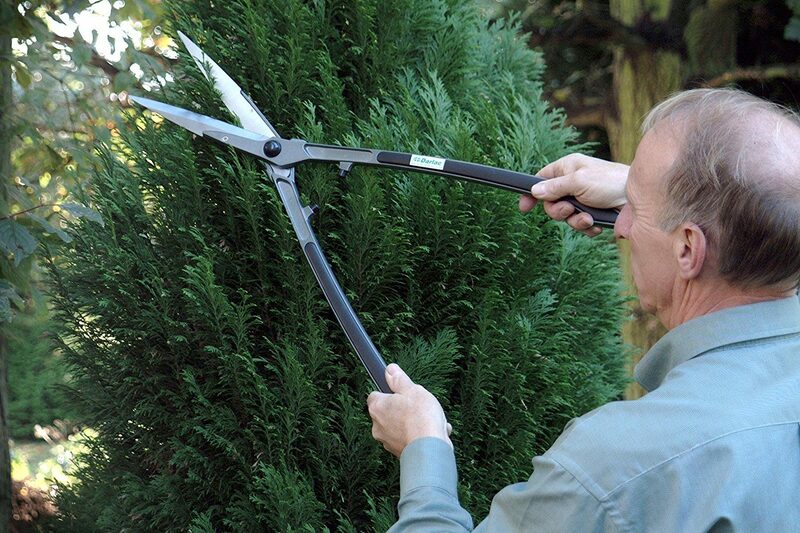 In this section I have included what buyers have to say about these shears. It is always a good idea to take onboard what real life buyers have to say. After all they have bought and used the product, and then taken the time to leave a review. Overall buyers rated these highly with a 92% buyer satisfaction rating, and that is an excellent rating for any type of gardening tool. In this section we summarise in a table what we found when we read the online reviews of around 100 buyers. This type of information is very useful, as these are real life buyers who have bought the product, used it and then taken the time to leave a review. The Darlac brand is a very high quality brand. I am not too surprised to therefore see a 92% satisfaction rating. Buyers also like these shears, as they have given them a very high rating. 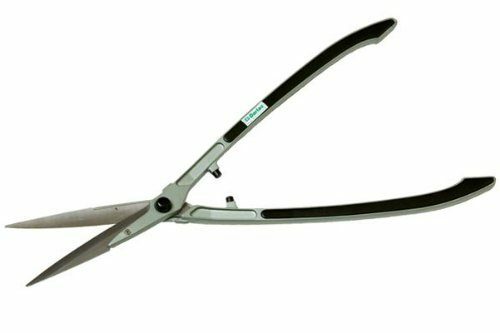 If these are not the shears for you, then please click here to go to my top 10 rated list of garden shears. With a buyer rating of 92%, there is little doubt that these are good quality shears. Almost every single buyer said that they were "VERY" sharp, and that the point was perfect for really precise cutting. What I did find interesting was that many buyers commented on the bounce of these shears. For those that are not familiar with what that means, I will try and explain this. When clipping with hedge shears you start to get a rhythm, and that makes cutting easier. So when you clip and make a cut, then the shears bounce slightly open again, making the next cut easier and faster. Buyers also said the extra length in the handle makes these a good choice for those that are not as strong as they used to be. Finally buyers also said that after extensive use, the blades have remained very sharp.